We've established, without a doubt, that the use of disposable water bottles are a HUGE faux pas for the environmentally friendly. most of us are taking stock of our outdoor supplies. PLEASE do not forget your refillable water bottles! The Earth, and all of us here at That's What She Said, thank you! Of course, if your young sports stars are anything like mine, you'll find that you aren't finding some of your vital supplies! Sigh. If only they made those elastic mitten strings with clips for everything your child takes out of the house! Whether you've found your collection of refillable water bottles or not, I strongly encourage you to consider adding a Camelbak Groove to your collection. The Camelbak Groove is unlike any refillable water bottle in my collection and its features make it the first bottle I want to grab on my way out of the door. The Camelbak Groove features a self-contained, portable filtration system which allows you to have freshly filtered water ~ anywhere! It literally filters your drinking water while you sip! The Camelbak Groove works similarly to water filtration pitchers, with a plant-based carbon filter through which water travels before you drink it. The filters are functional for approximately 30 gallons of water, 2 - 3 months worth of use. Yes, my teenage daughter is a finicky water drinker. That is not to say she doesn't like to drink water, rather that she is particular about the water she drinks. Their well water smells like rotten eggs and tastes terrible. I can certainly understand no one wanting to drink it, but our "city water" at home is absolutely fine. Not, however, to Miss Picky. With her year round commitment to sports: Cross Country, Track and Lacrosse, it has truly been a challenge to encourage her down a greener path! Miss Picky met her match in the Camelbak Groove! Design and pinkness alone, my recently received Camelbak Groove was quickly claimed by said teen, although she was very skeptical about it's ability to transform our water into something she would find palatable. Off to the Lacrosse fields it went. I was thrilled when she returned home with glowing reports about how fantastic the Groove was and, most importantly, how well it worked! Houston, we have a Camelbak convert! 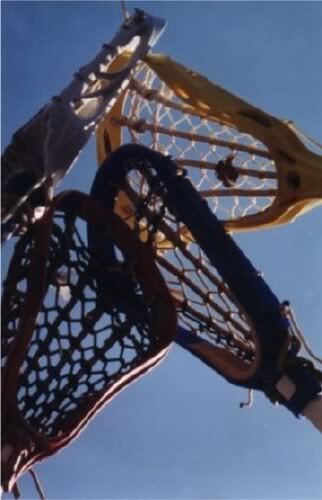 As she travels the nation this summer, playing college scouting lacrosse tournaments, her Camelbak Groove will be with her! "It makes the water taste so good, Mom!" The Camelbak Groove retails at $25.00, and with a 6 pack of replacement filters, enough for a full year of filtration, for $25.00, I can save over $250 a year, as compared to buying multipacks of disposable water bottles, and even more compared to single purchases! The Groove is available in four colors: Blush, Cool Blue, Graphite and Sea Foam. Camelbak also offers stainless steel Groove bottles and kid friendly BPA-Free Tritan Bottles in designs any kid would love! Camelbak is a company that I can feel good about supporting, not only because of their quality product, further for their environmentally conscious mission and operations, as well as their altruistic efforts. Camelbak is generously offering my readers a chance to become Camelbak converts as well! TEN readers will win a Camelbak Groove of their own! To be eligible to enter this giveaway, you must follow That's What She Said via Google Friend Connect (mid right sidebar). This giveaway is open to residents of US and Canada, 18+ and will conclude on Monday, May 23, 2011 at midnight, EST. The winners will be randomly selected from all eligible entries and notified by email. Winner must respond within 48 hours or I must move on to runner ups. Please leave your email address in your entry comments in anti-spam format so I may contact you if you are a winner, if it is not available via your comment name. Visit the Camelbak website and explore. Return here and tell me in a comment something you learned about how Camelbak can help you in your quest to become greener or how Camelbak is reaching out to help others. IF YOU ARE ALREADY FOLLOWING/LIKING, PLEASE TAKE THE ENTRIES! * Visit the Camelbak website and then tell me in a comment which is your favorite Camelbak product and why, 3 entries. * Visit the Camelbak website and then tell me in a comment something you learned that surprised or shocked you, 3 entries. * "Like" Camelbak on Facebook, leave a comment here with your Facebook name, 3 entries. * Tell me in a comment what additional steps you are taking this year to go greener, 2 entries. Limit 3 tweets per day. One entry per tweet. * Share this giveaway in some other method ~ anything goes. You can blog, post it on Facebook, Stumble, Digg, Technorati, post to giveaway linky, email to friends. Handy share button at bottom of post. Leave a comment with a link to your sharing. NO LIMIT. 2 entries per sharing. * Enter any of my other active giveaways, leave a comment letting me know which, 3 entries per additional giveaway. * Subscribe to That's What She Said via email or RSS feed (mid right sidebar) and leave comment with applicable name. 3 entries per method. On behalf of Camelbak and That's What She Said, thanks to all for following and participating! I was provided with a Camelbak Groove Bottle to explore for the purposes of creating this review. The prizes are sponsored by Camelbak, who is also responsible for shipping. Information and images taken from Camelbak website. The opinions above are both honest and my own. current gfc follower as "sswpss" and I learned that their two plant-based carbon filters are good for up to 60 gallons (or four months) of use. 1. I like the Insulated Bottle Sleeve in BLACK WHITE FLORAL because it protects hands from a cold bottle and looks pretty cute! 2. I like the Insulated Bottle Sleeve in BLACK WHITE FLORAL because it protects hands from a cold bottle and looks pretty cute! 3. I like the Insulated Bottle Sleeve in BLACK WHITE FLORAL because it protects hands from a cold bottle and looks pretty cute! 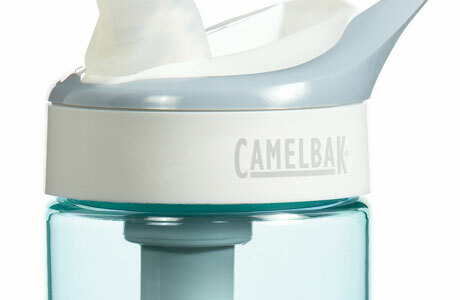 Wonderful--Camelbak works with Water.org, Matt Damon's move to get accessible clean water worldwide! Awesome surprise--Camelbak's Petaluma, California headquarters is built to LEED-certification standards! #2 Awesome surprise--Camelbak's Petaluma, California headquarters is built to LEED-certification standards! #3 Awesome surprise--Camelbak's Petaluma, California headquarters is built to LEED-certification standards! I learned CamelBak helped at the UN Climate Change Conference where people used (and re-used) over 750 CamelBak reusable BPA-free Better Bottles! That is so awesome! The products have a lifetime guarantee. "Over $10 from every purchase directly supports Water.org." That's a commitment! I learned that attendees at the annual AUSA (Association of the United States Army) meeting and trade show in Washington, DC stop at the CamelBak booth year after year to purchase a new Better Bottle for a $10 donation. CamelBak donates 100% of the proceeds to the Wounded Warrior Project. 100%!!! Now THAT'S awesome and admirable! CamelBak supports Water.org through the sale of their water bottles. I think that's awesome! My favorite product is the Better Bottle in Chili Red. I love how it looks (so sleek and cool! ), but also really love that it has a little handle so I can clip it to a caribiner for taking on walks! I learned that CamelBak's Hands-free Hydration system came about when the founder of the company competed in the Hotter'N Hell 100. He put an IV bag in a tube sock so he could stay hydrated throughout the 100-mile race! Very innovative! I LIKE CamelBak on Facebook! I have started using cloth napkins at dinner instead of disposable paper napkins. It's a small step but it has already made a big difference. I can see now much more clearly how much waste my family was producing just by using paper napkins every night. The bonus is that the cloth napkins feel and look so much nicer, and they really don't add much to the laundry load at all! I LIKED the post on your wall about this giveaway. I am a GFC follower. The site is very Outdoor oriented and very exciting! Very intersting graphics. #1. My favorite product is the Orange Alert Elixir- this is the kind of drink mix I like! #2. My favorite product is the Orange Alert Elixir- this is the kind of drink mix I like! #3. My favorite product is the Orange Alert Elixir- this is the kind of drink mix I like! I follow on GFC and I learned that this bottle filters any water anytime! Camelbak can help me be more green by replacing regular disposable plastic bottles. visited their site and found out that they camelbak works with water.org!